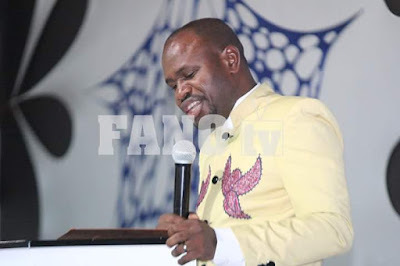 Checks by us revealed that this was predicted thrice by South African based Prophet, Samuel Akinbodunse who is the General Overseer of Freedom For All Nations Outreach (FANO). He predicted first in 2016 when he warned the President from re-shuffling his cabinet, and also in September 2017 and December 31st, 2017 when he said he will face recall in the first quarter of 2018. Ace Magashule, Secretary General of the African National Congress, said that the party had not given Mr. Zuma a deadline to respond, but added that he was certain that the president would deliver a reply the next day. “Let’s leave it to President Jacob Zuma,” Mr. Magashule said at a news conference at party headquarters in Johannesburg. The extraordinary confrontation between Mr. Zuma and A.N.C. leaders heightened a power struggle within the party that has governed South Africa since the end of apartheid and has become less known for its heroic past than for widespread corruption and mismanagement. The power struggle has paralyzed South Africa, which has the continent’s largest economy. In what appeared to be a turning point, the A.N.C., for the first time, moved decisively against the leader it had shielded for the past nine years against a seemingly endless series of accusations of misconduct. But in an indication of what may be the limits of the A.N.C.’s self-inquiry, party leaders stated that Mr. Zuma was being dismissed because he was harming the A.N.C.’s prospects — not because of the ethical issues surrounding him. It would be recalled that it was the same prophet who warned president Buhari not to contest in 2019 else it would lead to grave danger.